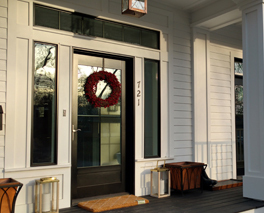 Front doors make an entrance to any home, both literally and figuratively. 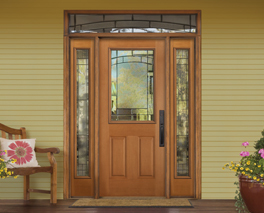 Entry doors are guests' first taste of personal style, and all exterior doors should lend an inviting and pleasing ambiance to a home's exterior. Casco's Aluminum Clad Swing Door allows homeowners to match their windows excactly in color and quality! Available with panel and rail inserts, Casco's Swing Door is the perfect choice! Masonite's fine fiberglass and steel line of entrance and service doors allow for all types of design creativity. 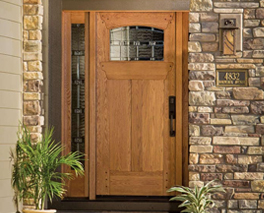 Crafted from the finest woods, creating a wood front door can be a custom design or selected from Rogue Valley's quick ship options.